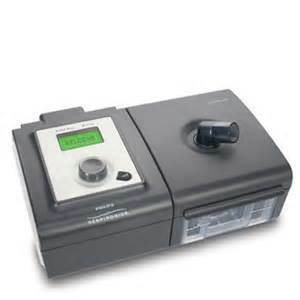 Here is a bit of information I would like to share, CPAP (continuous positive airway pressure) I had a doctors visit last week and was told my breathing exhaling and inhaling pressures were low due to muscle weakness, our primary physician Kaiser had this device delivered to our home. A wonderful representative demonstrated how the CPAP worked and explain the benefits of using this device when going to bed. It’s a mask that fits over your nose and straps around your head. It’s a humidifier as well, and distilled water must be used. This prevents your breathing passage for drying up while you sleep. Because of the ALS (amyotrophic lateral sclerosis) and lack of exercise my lugs don’t expanded fully causing the lack of pressure when exhaling or inhaling. And feeling out of breath due to muscle weakness. Our physician explained how this would allow me to have more energy during the day simply because I wouldn’t over exert my lugs muscle while sleeping. This CPAP device would assist my breathing to lessen the use of my own lug muscles and expanding them every three seconds. I’ve used this twice now, it’s difficult at first, because the tube and mask limits your head positions. And you must keep your mouth closed while in operation mode. If you open your mouth while in process sensation of exhausting oxygen in a high rate of speed, which doesn’t feel normal coming out of your mouth. My thoughts are this CPAP provides the additional oxygen needed to expand my lugs while I’m asleep. Breathing is much easier and the only issue keeping my mouth closed. I also experience a sensation of air bubbles in my stomach, but overall I believe it will help my breathing going forward. Anything to provide more energy during the day is essential and provide much-needed lug exercises. So I say to all my PALS, do whatever it takes until they find a cure for this illness or disease. I will post an up-date next week and let everyone know the process. Sharing information is key and vital, every little bit helps. It’s been 10 months now, and still going strong, thoughts and prayers to everyone fighting the good fight, whatever it is. We were all built to last. This entry was posted in Uncategorized and tagged continuous positive airway pressure, CPAP, muscle weakness. Bookmark the permalink.